CRYPTO | Overview of courses TOP-10 cryptocurrency to USD - March 26, 2019steemCreated with Sketch. On the morning of March 26, Top 10 Cryptocurrencies by Market Capitalization shows a downward trend, the movement of virtual coins is concentrated in the red zone, but there are no critical changes in growth. The total market capitalization at the moment is $137 970 061 997, the capitalization rate has decreased and its decrease was -1,7%. Bitcoin (BTC) was updated at the lowest point, it was $3 934,00, the fall in assets was -2,3%. At the moment, the movement of the coin is concentrated below the established price threshold, which amounted to $3 975,00. Altcoins established in the red zone, the movement of assets decreased markedly and there were no specific prerequisites for changing situations. 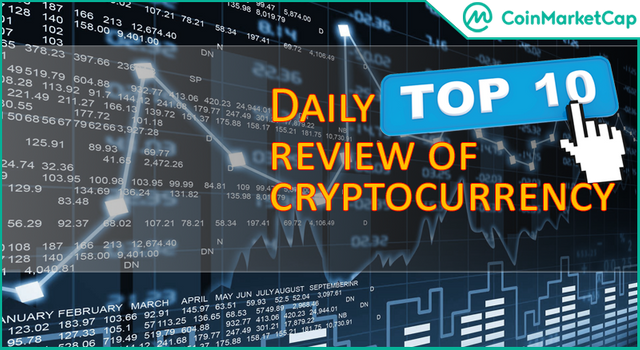 In the first five Ethereum (ETH) is trading above $135,00, to this mark the asset rose after a critical decline from its maximum values ​​to $133,49. The Ripple (XRP) coin has lost more than -2% of its growth and has established itself at the level of $0,3040. The Litecoin (LTC) coin movement is also experiencing growth difficulties, the asset reduction was -1,8% and concentrated below $60,00. The EOS (EOS) coin is trading at $3,66, although over the past day the asset has managed to renew its minimum at $3,63. In the second five, Bitcoin Cash (BCH) reduced more than -4%, the asset movement is concentrated below $160,00 and is very unstable. Coin Stellar (XLM) in a similar situation, the asset is experiencing difficulties and at the moment losing more than -3%, trying to establish itself at the level of $0,1032.